After years of being in the same RV, some people are ready and eager for an upgrade. However some of us don’t like change. We like things the way that they are, after all, that’s why we made it the way we like it. But what we’ve found is that “if it ain’t broke, don’t fix it” doesn’t apply to upgrading RVs. There’s just too much advancement in technology and design that brings a more pleasurable camping experience. A simple analogy that usually makes sense to people is the quality and cost of TVs over the past decade. For a fraction of what it once cost to have the latest and greatest TV unit, now you can have such a clear crisp picture that you feel like you’re on set! With RVs, that same concept is providing luxury that wasn’t available in the past. Let’s face it, an RV travel trailer or 5th wheel can be a significant investment into your family’s quality of life. If you know what types of things to look for you can make a better decision on when to upgrade and what unit is best for you. 1. Quality of Life Can you put a price tag on a fun filled life that’s full of enjoyment? Luckily, with RVs you don’t have to spend a lot to enjoy a lot. New technology has made what was once an expensive luxury, into a common feature. To be able to have all the functionality of at home conveniences and bring them into secluded wilderness escapes is an experience that will live with you forever. But what about the small things that we’ve become used to? Things like manual awnings have been replaced with the push of a button, state of the art appliances, heating and cooling units, better design and stronger yet lighter builds are often not top of mind when we think about upgrading, but yet they are things that have a big impact on your camping trip. 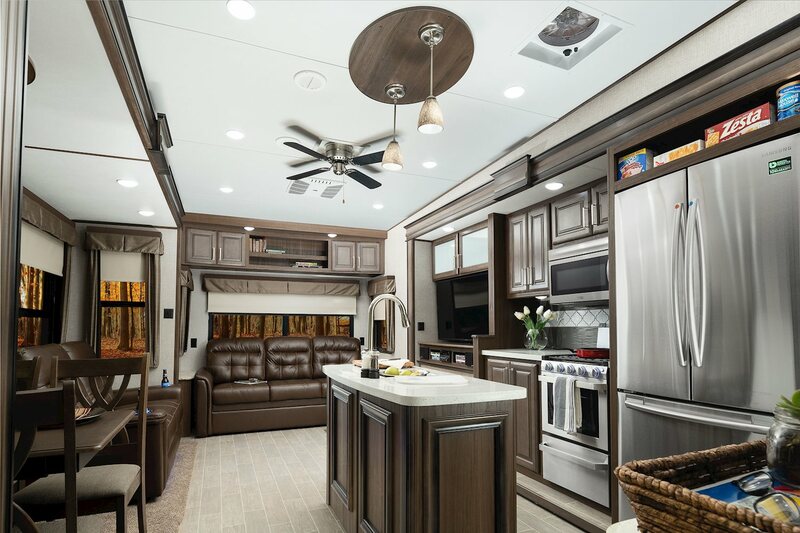 Get a modern interior in your next RV. 2. 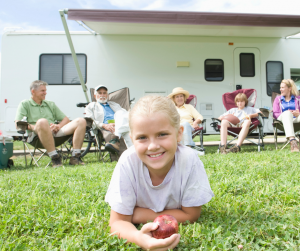 Family Changes Retirement is a common reason to upgrade to a larger RV. People often become full timers to see this beautiful country or might turn into snow birds and run from the cold. You may also want to upgrade after the kids are born and you find yourself in need of an extra bed. How about when those same kids go off to college and you could exchange that extra bed for a toy hauler to bring your hobbies on the open road with you? These are times to adjust your unit to meet your family’s changing needs. Get an RV that fits your family. 3. Hobbies or Interests Most people change hobbies and interests often. As these changes occur, this may mean that you need to change your unit. Instead of fixing up your travel trailer, you can look into investing in a new toy hauler. These can be used for things like motorcycles, ATVs, kayaks, jet skis, or even a place to practice yoga. A bigger unit may be worth it to you if can utilize it correctly. Also, as your children grow you may need to adjust the RV to accommodate a new hobby or sport for them such as horseback riding, dirt bike racing, pet shows, etc..
4. Mobile Office “Ten years ago if you told me I’d be working the same desk job, but from the most scenic areas of the country I’d tell you were crazy!” – Full Time RVer. We’re hearing things like this more and more from people who are able to take their work on the road. Modern internet technology allows people to stay plugged in and employers are allowing this type of remote experience for their employees. 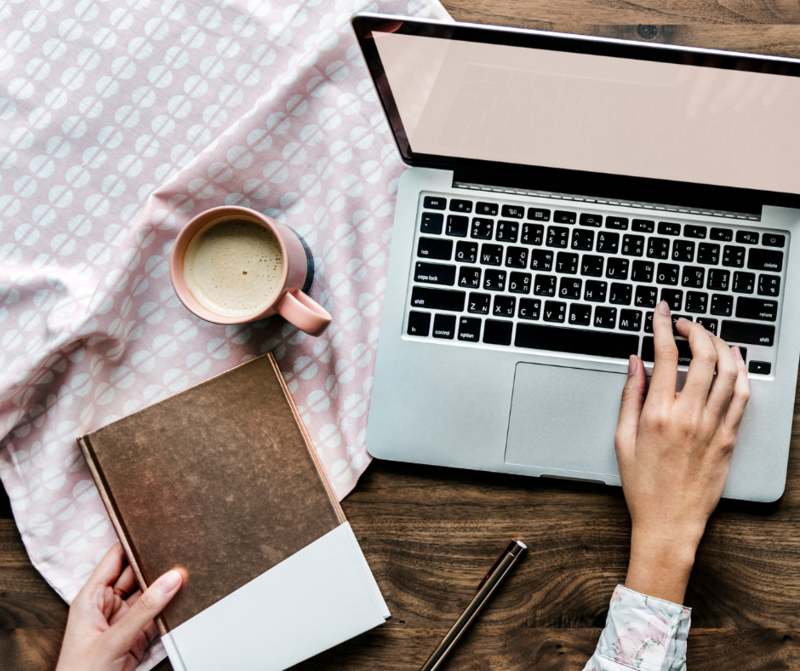 If you’re an entrepreneur or work for someone who allows this work environment you may need to upgrade RVs to accommodate a proper working space. Work on the road in your new & spacious RV. 5. Safety Your family’s safety is your greatest concern so it only makes sense that you want to have the safest RV on the road. The older your RV gets, the greater risk you are from breaking down. Each year RVs are made better and stronger than ever before from higher quality crash ratings, handling, and even carbon monoxide detectors. New models are designed to keep you safe. 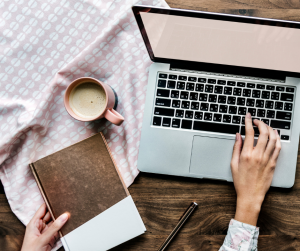 If you fall into one of these categories and feel you’re ready to look into an upgrade, check out our online inventory and stop by the dealership to find the perfect upgrade for you.